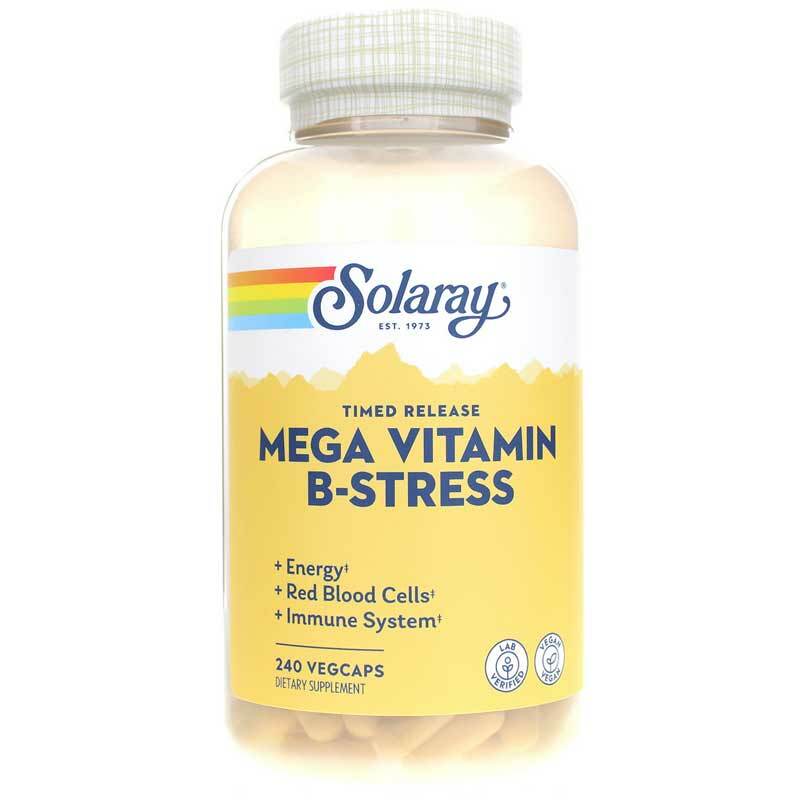 Mega B-Stress from Solaray is formulated using a special two-stage, time-release technology. The two-stage ingredients are designed so that half are intended to be rapidly released while the other half are intended to be gradually released over 6 to 8 hours. 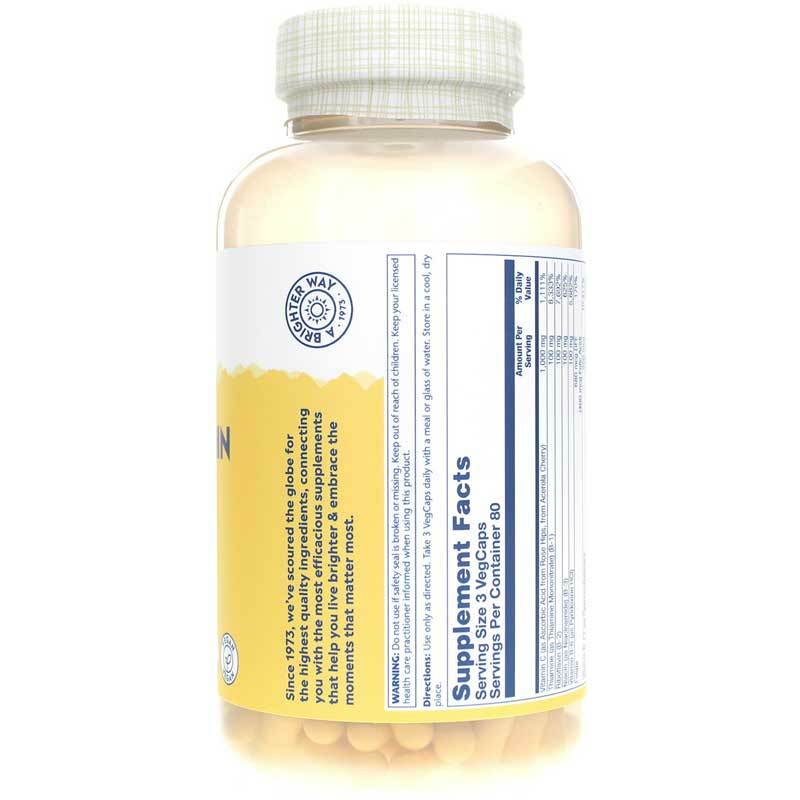 The two-stage ingredients include: Vitamin C, Thiamine, Riboflavin, Niacinamide and Vitamin B6. The two-stage time-release technology helps to extend the availability of these vitamins to the body over a longer period of time. Other Ingredients: cellulose, vegetable cellulose capsule, whole food base (whole rice concentrate including the brain, polishings and germ, pure aloe vera gel), stearic acid, silica and magnesium stearate. Adults: Use only as directed. 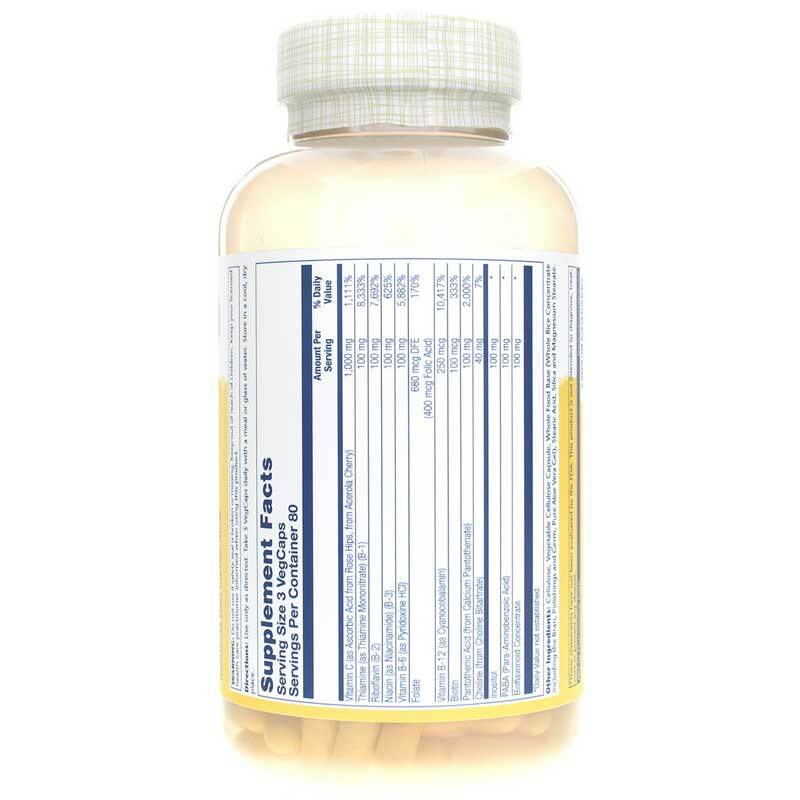 Take 3 vegetarian capsules daily with a meal or glass of water or as recommended by a healthcare professional. Great product at a great price, have been even giving it to my horses. When taken as directed it has helped to ease my lower back pain. I used to have hot nerve pain and these help a great deal!! !